Get Your Free Copy of "The Three Ways We KEEP Our Guilt! And How to Let It Go!" Begin Your Best Life Today! Do you long for more meaningful personal relationships? Do you suffer with anxious thoughts? Do you want to be healthier and more energized? 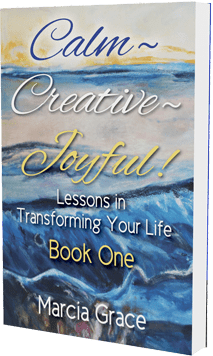 Do you want to uncover your creative self? 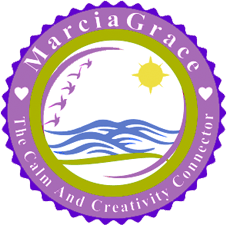 Immerse yourself in a daily life-transforming lesson with MarciaGrace. Ponder a deep concept, be uplifted by a prayer or a story, while discovering your own sacred power and strength. Each day offers a new way to view yourself, your siblings on this journey called Life, and the situations and circumstances in which you find yourself. Please enjoy my FREE 8 minute guided meditation. Get in touch with your Calm and Creativity!